Flipped learning isn't such a new idea but it is still an awesome idea. Flipped learning as a concept is an easy one to understand. Essentially you are taking out the traditional learning element of the lesson and placing it into the homework via a video which you, as the teacher, previously prepared. Then, during the part of the lesson where the learning once took place you can focus on activities that concrete the learning, develop and apply the learning further or test the students’ knowledge of the learning more. For me this works because it focuses the whole process on learning, including homework, and I have found that students make greater progress than with more traditional homework. Traditional homework involves completing a piece of work that in one way or another evidences the learning that took place in the lesson. The trouble is that this is the most crucial moment in the process, when the students are taking what they have learned and embedding it or applying here. It is here when mistakes, sometimes irreversible mistakes, can take place. And the student is alone. Who can they ask for help? What can they do? They can turn to the internet, or their friends or their family. They can also struggle on not knowing what to do or uncertain whether what they are doing is correct. I find that more often than not, asking students to complete an essay for homework creates more problems, and workload, than it is worth. Instead, in a flipped learning model students watch a video for homework and take notes from that video. The students can watch the video repeatedly until they understand it and they can watch it in their own time away from any distractions, neither of which they can do when you deliver the content to them from the front of the class. The students then return to class for the next lesson, already aware and knowing the content of the lesson. The lesson focus then becomes about the application and assessment of that knowledge, with the teacher there to answer any questions, to clear up problems and to guide students to complete more challenging and engaging tasks. I've used this a lot in key stage 3 drama, where time is short and I want to keep a focus of the lessons on practical work as well as give homework which is of interest and unusual. This has had plenty of impact on teaching and learning – which of course is great – but the real success has been in key stage 4, where the students watch videos on exam preparation and technique and then write their exam answers in the classroom. This has had a fantastic impact because every week I am getting written work from every student and not chasing them for it, I am there to answer any issues or concerns raised and I can spend more time focusing on feedback to the students about their written work. The biggest impact has been on the improved quality of the work the students are handing in for their first drafts, meaning after feedback their second drafts or re-worked answers are significantly better. There are things to consider before you take the plunge and start using flipped learning. First, where do the videos come from and will you have to make them? The answer is you don't have to make the videos if you don't want to. 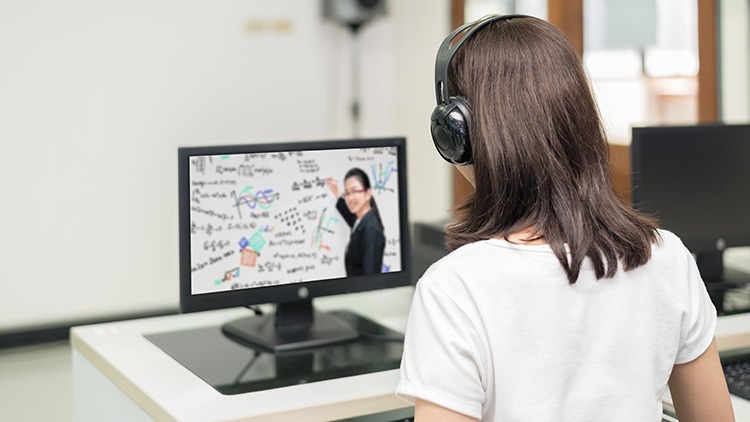 Flipped learning isn't new, so there are already hundreds and thousands of videos out there on various video-based websites, on a huge range of topics. The production quality of them vary from one person in front of a camera to interactive videos and high-value production work. I find that it doesn't matter what the quality of the production is but it is the quality of the content that matters. I've set my students to watch videos that other students have made if the content is spot on. I've also made my own and these have largely been for specific classes or content that isn't available elsewhere. Again, the quality doesn’t matter but the content does, so even if it's you, a voiceover and a presentation it will be heard and your students will learn from it. You will also gain from having more time with them to complete the work rather than teach the content to them. There are other factors you need to consider, such as how do the students access the video or what happens if they don't watch the video. The answer to these are varied and simple. There can be a variety of ways for students to access the video either through a website, a school VLE or a USB stick. I've had students come and watch them during lunchtimes or after school. Likewise, if a student hasn't watched the video, it's no big deal to get them to watch it at the beginning of the lesson or turn the opportunity into a learning now and ask them to get the information from the rest of the class through questioning. Don’t forget about the important issue of copyright. You need to seek permission from the person who owns the copyright when downloading or sharing videos. Teachers should be careful when using online videos and to respect or adhere to the rules of the service that they receive the video from. If you purchase a video, make sure you purchase the right to share it with your students, but any video in the public domain is free to watch by anyone. With so many videos already created, it is worth having a go and seeing what kind of impact it has on your lessons and the progress your students make.